Here at Chicks Rogues and Scandals I am very happy to welcome the brilliant, Historical Romance novelist Emma Prince, author of The Sinclair Brother’s Trilogy, Viking Lore Series and Wish Upon a Winter Solstice. So take a seat and let’s get to know Emma. . .
Reading Chick : Hi, and welcome to Chicks, Rogues and Scandals. Thank you for taking the time to chat with me today. Firstly what five words would you use to describe yourself? Emma : Hi Reading Chick! Thank you so much for having me! Hmm, only five words? Here we go: stubborn, enthusiastic, introverted, anxious (yep, I’m a worrier), and curious. Reading Chick : I think we can all say we have a bit of all those in us Emma, Especially being a worrier (I know that I can be). Ok, If you could live in any era and place, when and where would it be? And why? Reading Chick : Ooh! Nice fact Emma, Very interesting, Who was your childhood hero? Emma : I read a lot of fantasy books as a child. One of my all-time favorite series was the Enchanted Forest Chronicles by Patricia C. Wrede (the first book is called Dealing with Dragons). Its heroine is Cimorene, a no-nonsense princess who isn’t the typical damsel in distress. She makes friends with dragons and leads her own adventures! I’d definitely count her as a childhood heroine of mine. Reading Chick : What is your favorite time of the year? Reading Chick : That to seem’s sound’s like pure heaven, Out of all your work, who is your favorite character and why? Emma : I’m going to cheat and pick two: Rona from Highlander’s Reckoning and Madrena from Shieldmaiden’s Revenge. I love Rona because she is stubborn and free-spirited. Since I wanted her to have a secret love of falconry, I got to research medieval falconry practices and consider ways to incorporate them into her character—she’s willful, but when a bond is made, she’s very loyal. And I love Madrena because she is incredibly tough. She was so fun to write because she is a fearless warrior, but she has also overcome much pain and has to learn how to let go and love over the course of the book. Reading Chick : I bet researching falconry was very interesting, Your books are incredible, where does your inspiration for them come from? Reading Chick : Ooh what a tease 🙂 What three tips would you pass on to an aspiring author? Emma : First, don’t wait for everything to be perfect—for your schedule to be clear, for inspiration to strike, for the stars to align, etc. Just start, wherever you are, and with whatever you have. Second, make a schedule and stick to it. This kind of goes along with the first one—don’t wait for your muse to be singing in your head. Instead set small goals (for me, it’s a daily word count goal) and meet them. Third, keep going! When you’re stuck, just keep those fingers moving on the keyboard! When you’d rather throw your computer out the window than deal with a tricky plot line or character, keep plowing forward. You might be surprised at what comes out. Even if it’s no good, it’s better than a blank page. Emma : Jane Austen, because she was the master of wit. Willa Cather, probably my all-time favorite author. 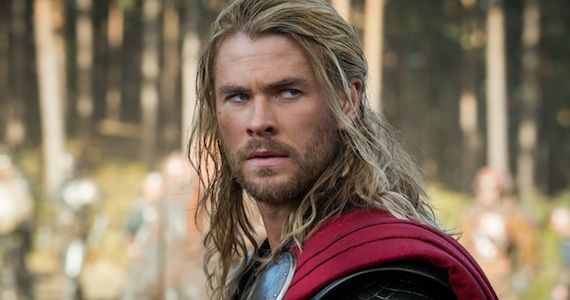 And Thor, as portrayed by Chris Hemsworth because…well, that one is self-explanatory. Reading Chick : Can I come too? Haha! Thank you again for taking the time out of your busy schedule to chat with me today, I have just one more cheeky question, just for fun. . .What is your all-time favorite naughty but nice food? Emma : Do I only get to pick one? 😉 Though I have a fierce sweet tooth (I eat desert after both lunch and dinner, and sometimes after my afternoon snack, too! ), nothing feels more decadent and celebratory than champagne! Thanks so much for having me, and cheers! Reading Chick : Cheers to you too Emma! This entry was posted in Interviews and tagged A Chat With. . ., Emma Prince, Historical, Historical Romance, Interview.